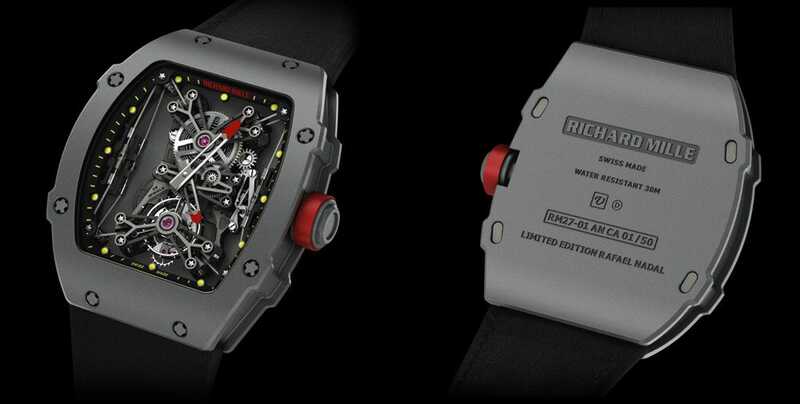 Rafael Nadal’s newest piece of equipment costs nearly a three-quarters of a million dollars, and yet it will probably never help him win a tennis tournament.According to Ariel Adams of Forbes.com, Nadal has upgraded his on-court wrist watch to a $690,000 model made by Richard Mille. Nadal is no stranger to the world of high-end watches. 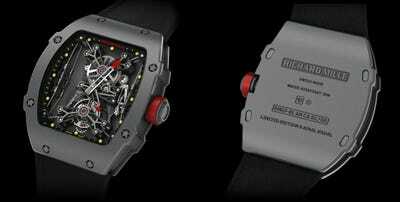 In 2010 he began wearing another Richard Mille timepiece valued at $500,000. Mille will only make 50 of the RM27-01 (see images below). It’s most impressive features are its lightweight (19 grams) yet durable construction (can withstand 5,000 Gs of force). And the watch’s skeletal design makes it seem more like a piece of art.